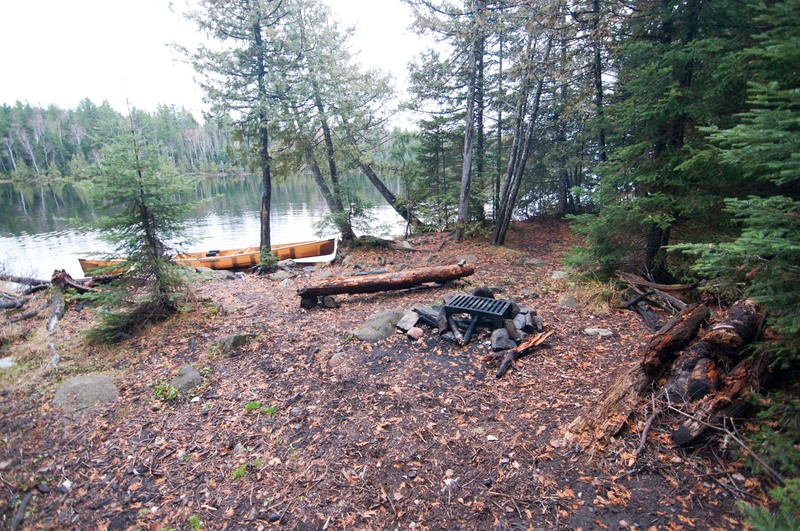 Alder Lake is a very popular lake offering seven slightly above average BWCA campsites and average fishing for lake trout, northern pike, and smallmouth bass with above average fishing opportunities for walleye. 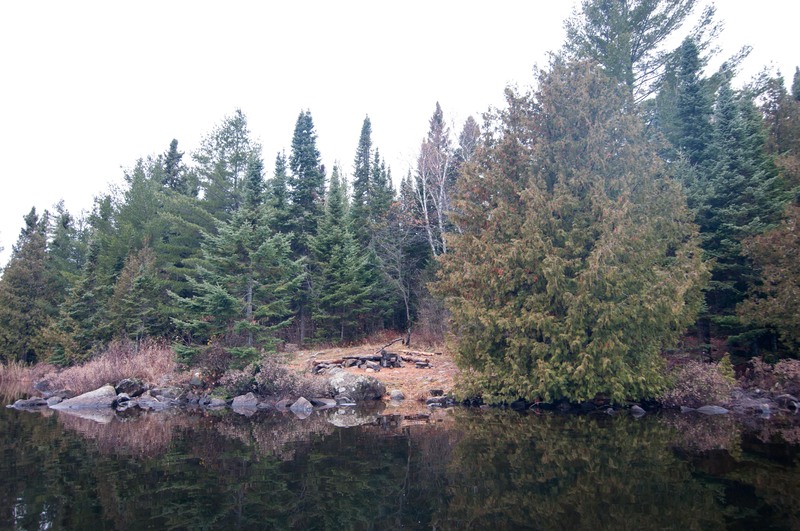 The popularity of this lake is due to it’s easy access from entry point #64 East Bearskin Lake and a very easy 50 rod portage. 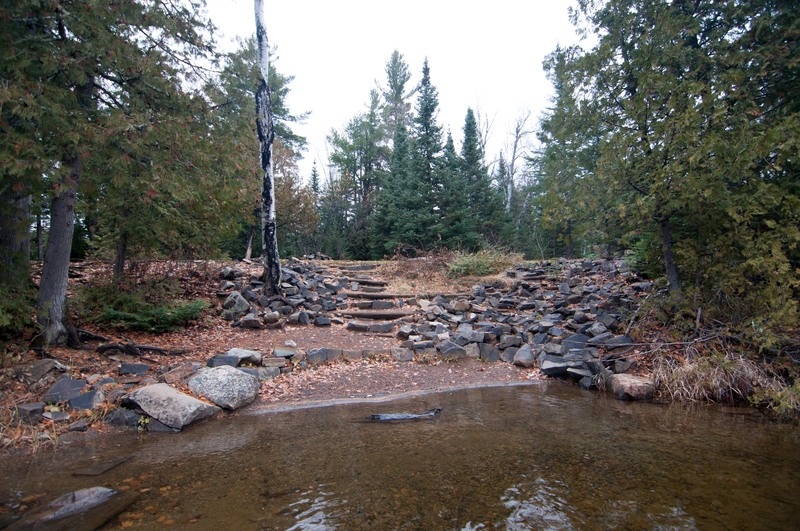 Along with its easy access it offers great base camping potential to explore other lakes in the area and Johnson Falls. 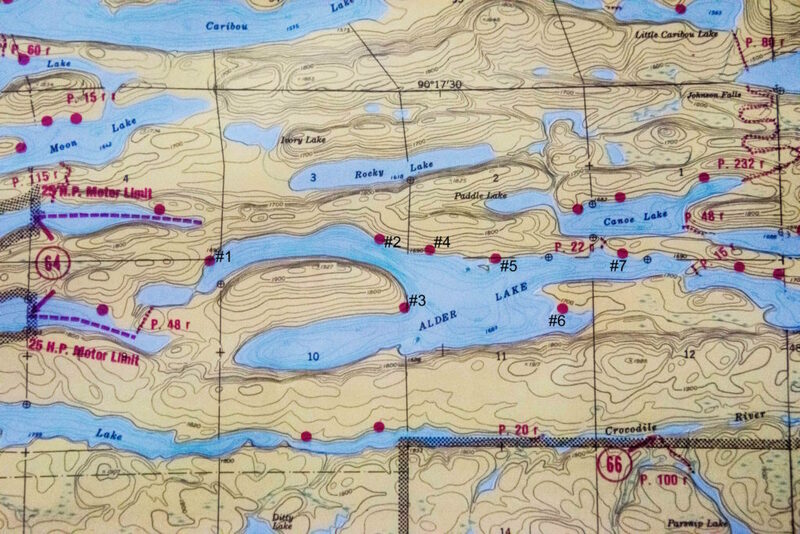 On some older maps there is a portage shown on the north finger of East Bearskin into Alder, this has been abandoned and should be avoided. Overall this lake is an excellent place to call home for a few days or as a stop on a larger loop style route, though it should be noted that it is very popular during the summer months. 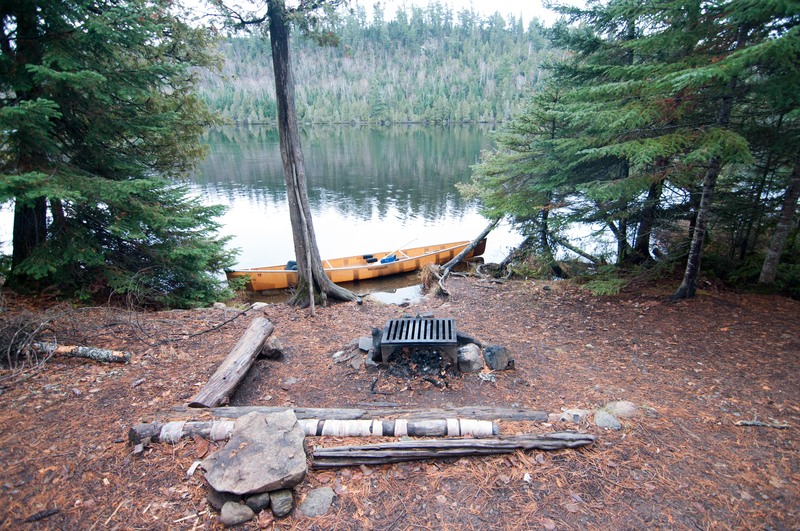 This is the first campsite you would encounter coming in from East Bearskin on the north shore of the lake. It is slightly better than serviceable with a troublesome landing leading almost immediately up to a nice fire grate area. It is a small site with at least three large flat tent pads directly adjacent to the main campfire area. Overall, comfortable with no frills. Also on the north shore of Alder this shaggy campsite is bordering on your “port in a storm” variety. There is for sure one decent pad to set up a tent, with very few options for hammocks as well. 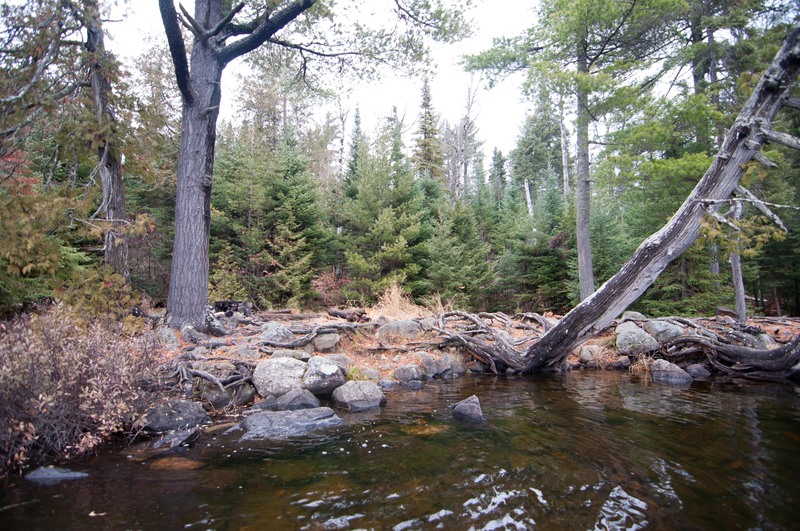 Most of the ground in this campsite is very rocky and entangled with a network of roots, making for tricky walking. The view from the fire grate area with the long cliffy hill to the south is very nice, otherwise this one might be worth passing on. 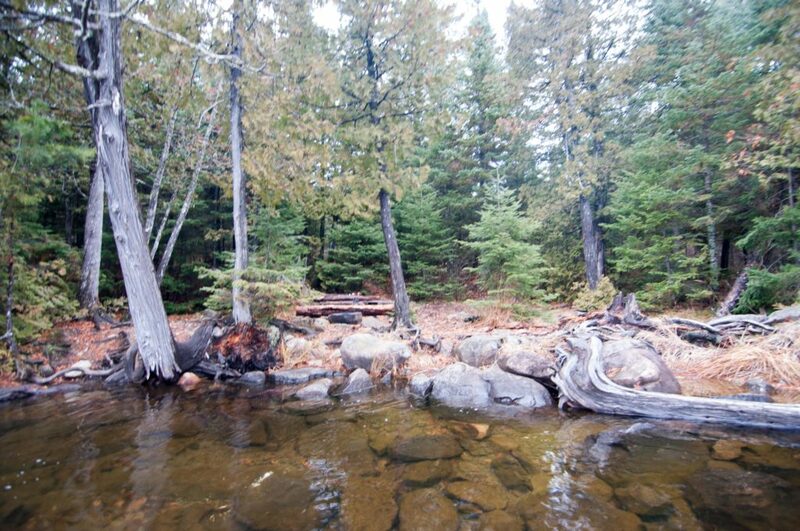 Located on the big point that juts out into the main body of Alder Lake this is one of the nicer campsites on the lake. It offers superb views to the east making for stunning sunrises. There are nice tent pads at this site, though one might be a little close to the fire grate area you should have no problem establishing a nice hammock set for the night back in the woods. The open feeling of this site and the incredible views from the fire grate are make this a great spot to spend some time. 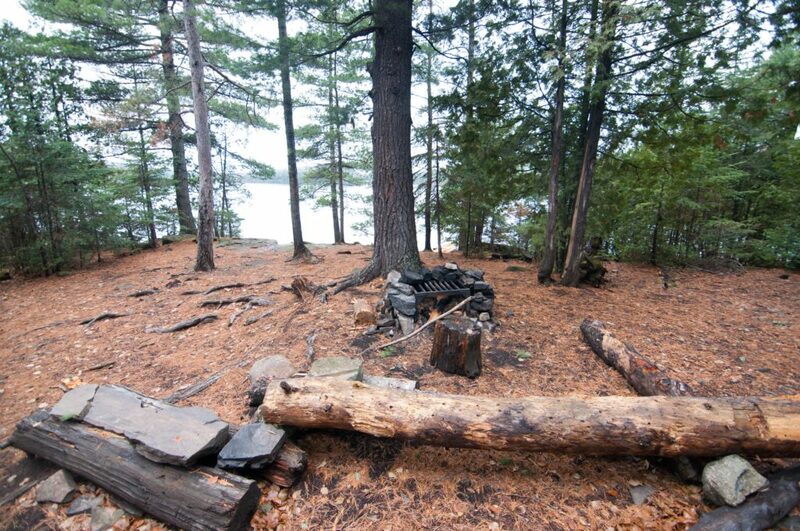 You won’t find many redeeming qualities to this small rock strewn campsite. 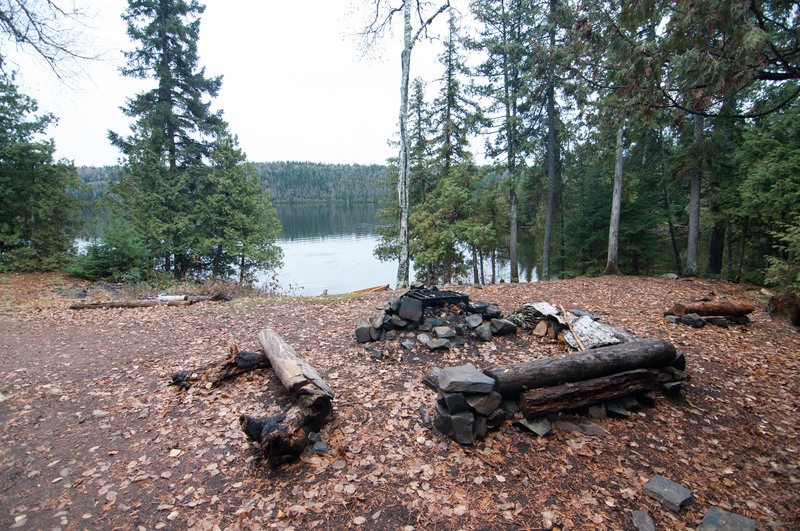 Everything is pressed right up against the lake, which while being right on the water is nice does not leave much space for setting up any kind of a long term camp. Tough walking in camp and a lack of more than two small tent pads and no legitimate hammock options make this one hard to give high marks to. 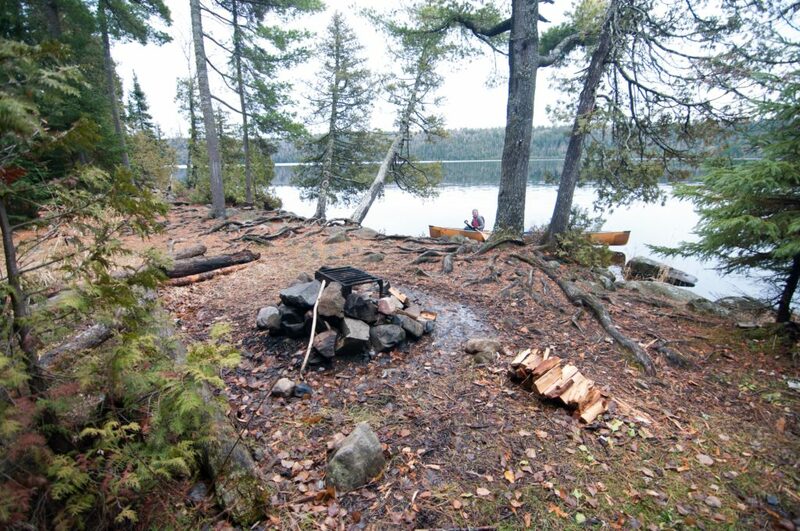 Easily the nicest campsite on the north side of the lake it is also the most heavily used on the entire lake. 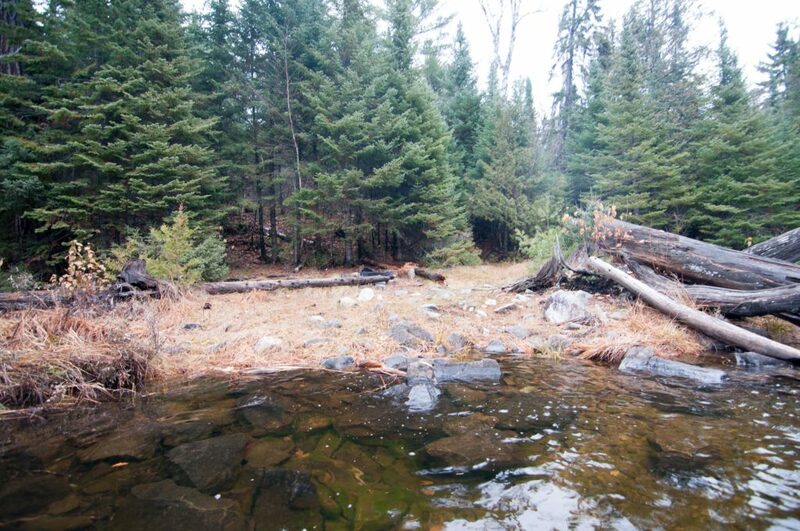 There isn’t necessarily anything inherently bad about heavily used campsites, it does usually lead to more wear and tear, a lack of accessible firewood and obviously being occupied more means it will be hard to call it home once you get out there. A pleasant landing and manicured hillside (to mitigate erosion) leads up to a huge open campsite/fire grate area with at least three solid tent pads and numerous trees for hammock set ups. 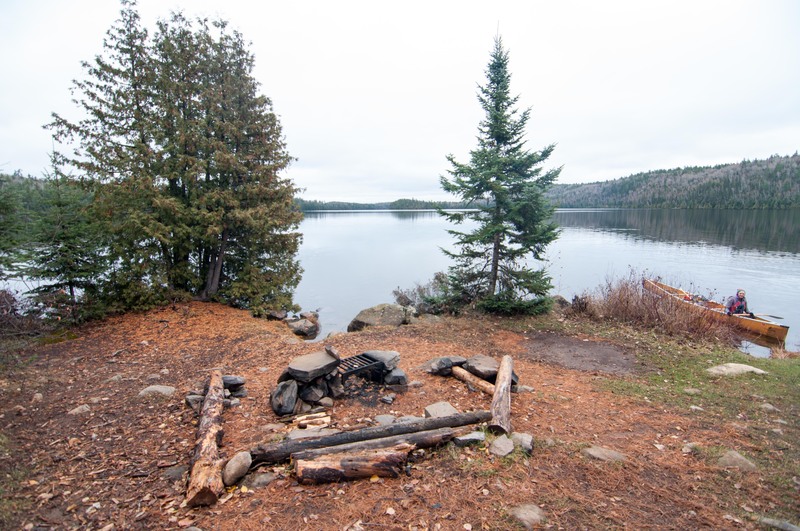 This very private campsite on the south western tip of a point that shoots out into the main body of the lake gets my vote for the best one on the lake. It’s always nice when you can get the best of both worlds when it comes to a nice expansive landing along with a flat and open wooded area for setting up camp. Almost limitless tent, hammock and rain fly options abound that are all well protected making this a site you could truly bomb proof in the event that the weather picks up. 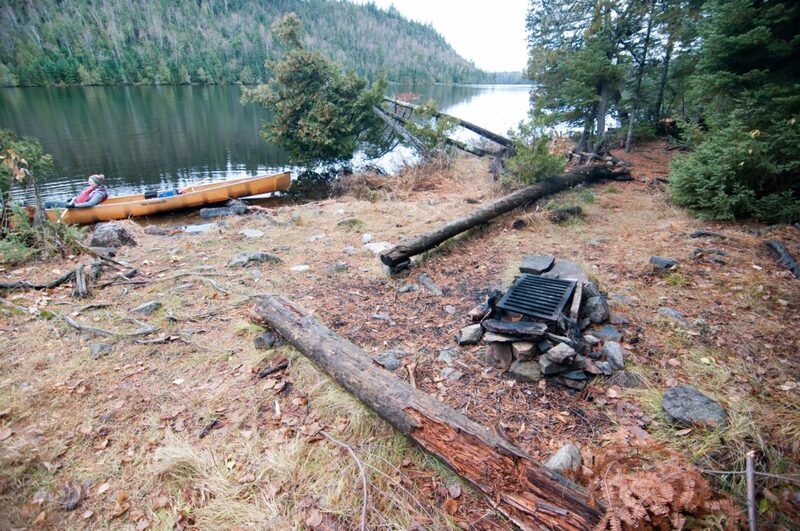 Between the portage into Canoe and Pierz Lake you will find another sub par campsite on the north side of the lake. 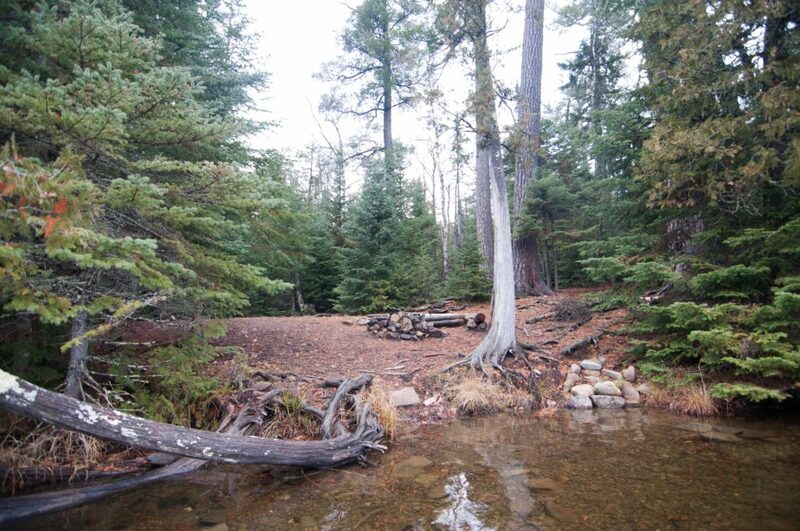 There is very little space to work with, the ground is very rocky with a few large pools of standing water in the main camp as well. 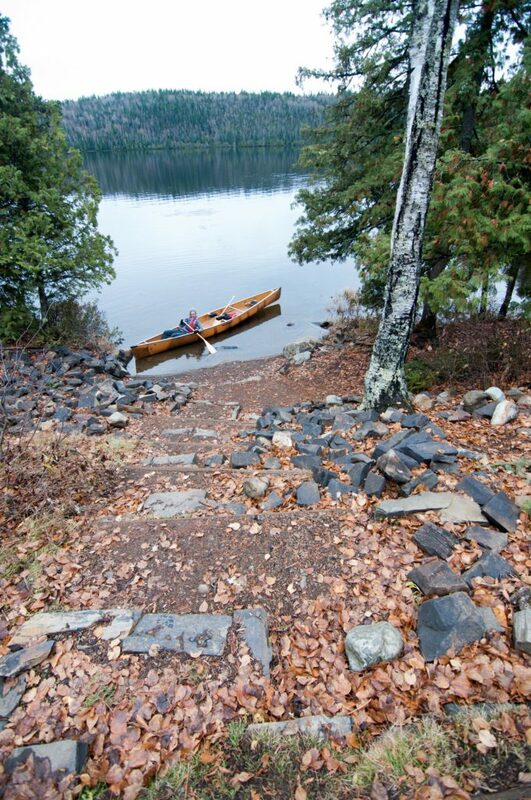 A rocky landing and only once small tent pad make this a last resort on the lake.